On both sides of my family, I find a long list of women who are strong, courageous and deeply spiritual. My on-going quest for more information about my family, and the Ancestors now gone, has provide me with the opportunity to engage my relatives – including my grandmother, mother, aunts and cousins. 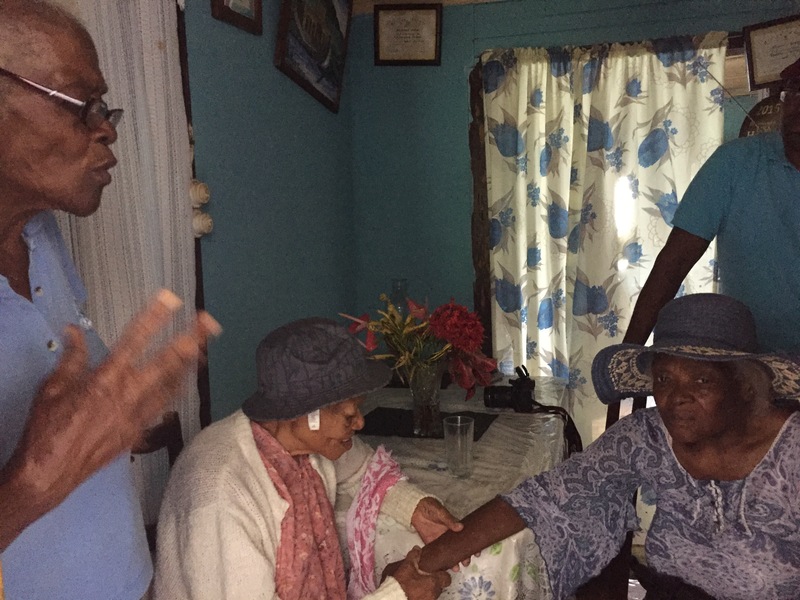 In them, I have found a wealth of wisdom and information, women who have worked hard, survivors of life in rural Jamaica, women who have contributed to who I am in my life today. There are no surviving pictures of my maternal grandmother. Mary Jane Stephenson Grant was born in Higgin Town, St. Ann in 1895. Conversation with my aunts and my mother form a picture of a petite indigenous woman, who was born and raised in Higgin Town. She was a “labourer” whose parents were probably much the same. I continue to gather stories of her as I talk with my mother. My mother was not always one of my heroes. My own struggles to overcome childhood drama and trauma caused me to push back from the ritual of daily phone calls. Now, as I get older, I am understanding new dimensions of relationship with this woman who is as confounding as she is surprising.